You may have noticed some of our tropical plants out in the gardens this year and in years past. Of particular interest was the White Batflower, which was brought out of the greenhouse this summer for the first time a in a few years. We also typically display our large Staghorn Ferns in the gardens. 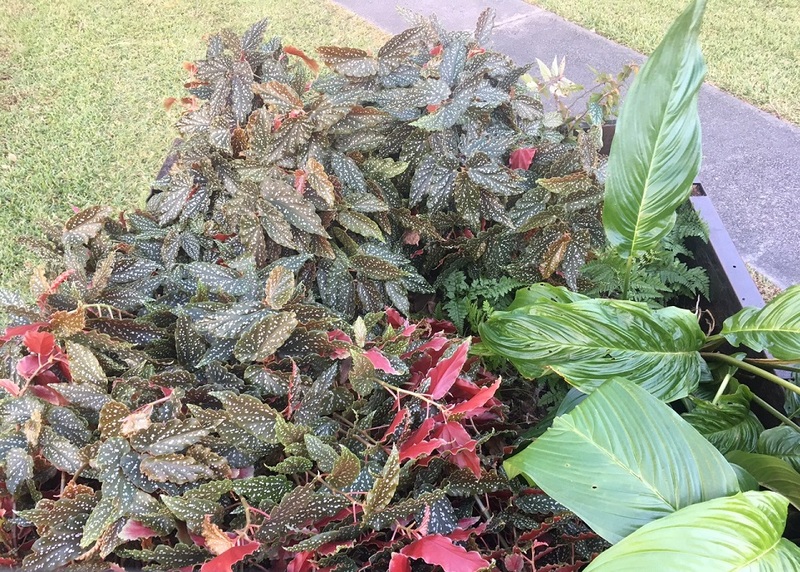 However, once the weather starts cooling and we move into the end of October, it’s time to start bringing the plants to their winter resting place. The White Batflowers, tender Begonias, and Rabbit’s Foot Ferns were all planted in the Upper Right Wing, bordering the Brown Sculpture Court. These were dug up and brought back to the Greenhouse to be potted and placed for next year. A trip to the Upper Left Wing resulted in another White Batflower, already in a pot, and just in need of a lift back to its winter-time home. Anne’s Garden turned up a hefty Staghorn Fern, which almost looks small compared to the Staghorn Fern that had been vacationing in the Children’s Garden! 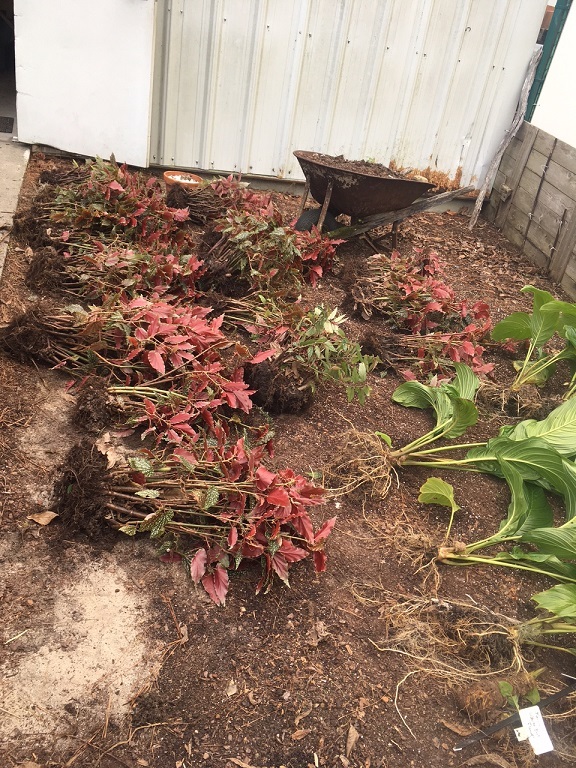 Some plants were easier than others to bring back. The Upper Right Wing required some light digging, while the Upper Left Wing called for lifting, and Anne’s Garden was a quick pick up. 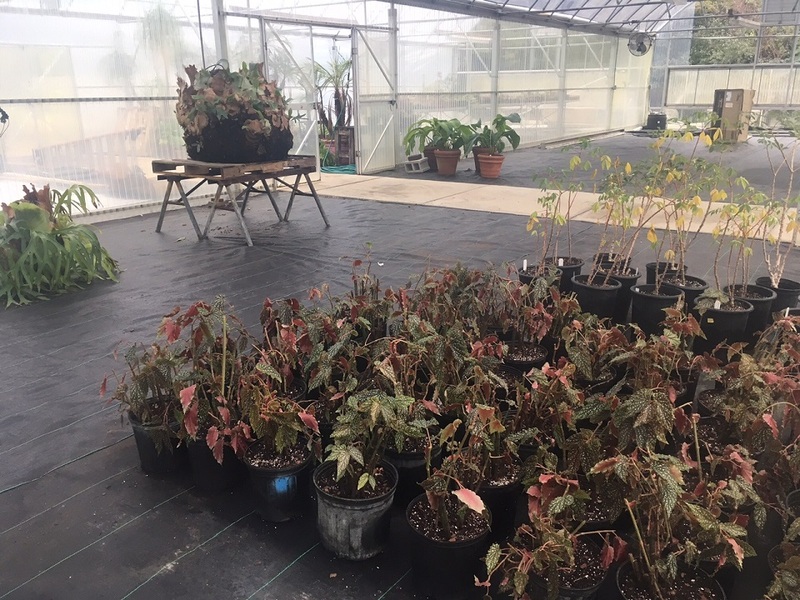 Upon collecting the plants, it was off to the Greenhouse to drop them off. The plants that had been dug were set outside for our great horticulture volunteers to pot back up. We saved the biggest for last: the Children’s Garden Staghorn Fern. Foolishly, another Horticulturist and I thought we could lift the fern and carry it away. We were wrong. It wasn’t long before our John Deere tractor was out in the Children’s Garden assisting us. Frank, the other Horticulturist, quickly went to work bringing the tractor into the Gardens and fastening a knot from the string already inside the fern to the tractor. Before long, the fern was attached and ready to go. 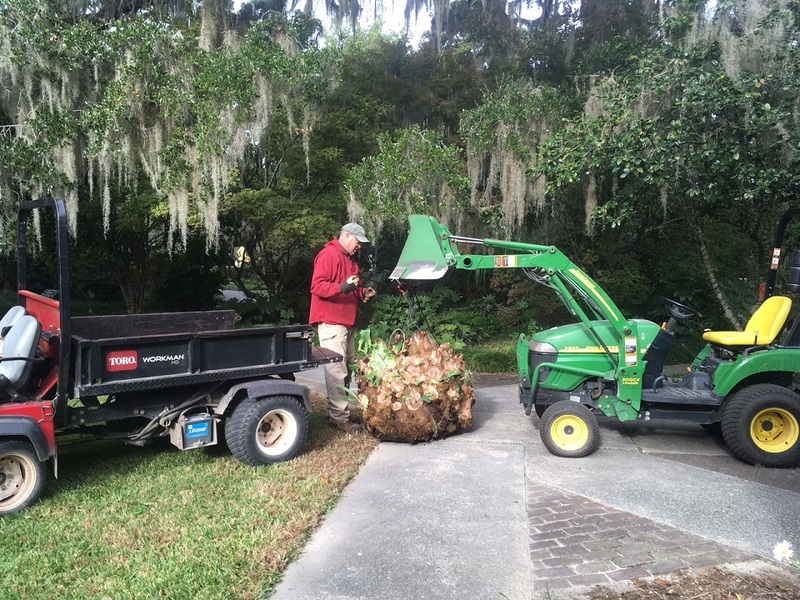 For stability’s sake, we transferred the Staghorn to the bed of our work vehicle and drove it back, along with the tractor. 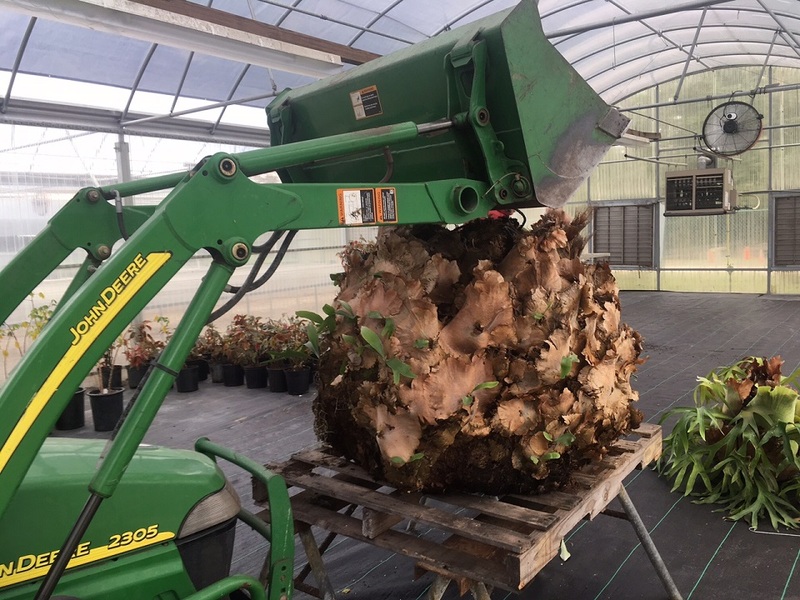 If we were not able lift the plant to get it on the cart in the first place, we were not going to have any different luck getting it off and into the greenhouse. 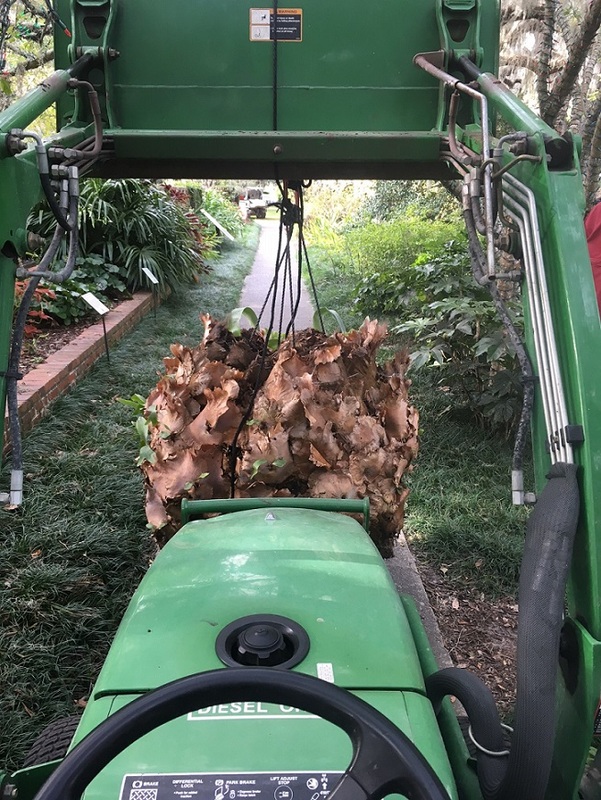 Upon our return, we fastened the Staghorn back to the tractor and began the next leg or our journey. Luckily, the greenhouse has wide doors and our tractor is pretty narrow. 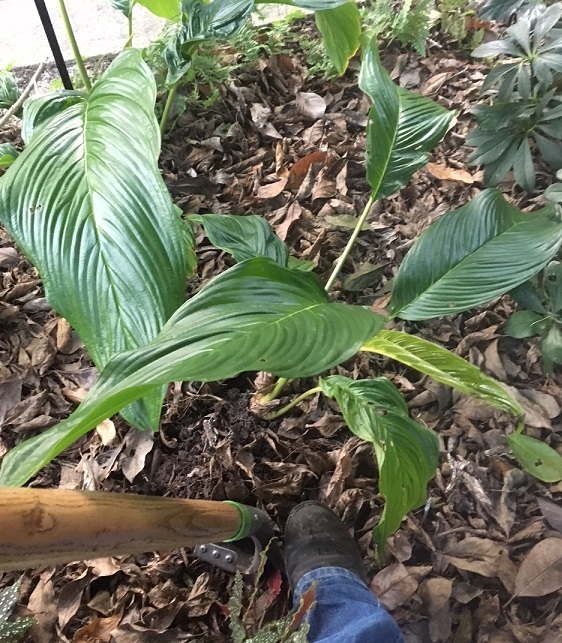 We were able to get the Staghorn in without incident, and back to its winter resting space atop two very sturdy sawhorses and a wooden palette. What goes in must come out. 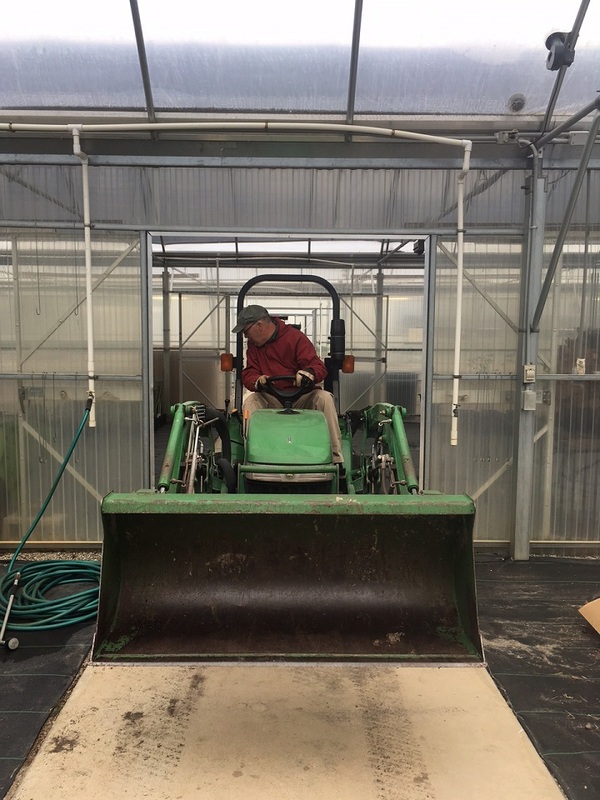 After a little maneuvering, Frank turned the tractor around and carefully drove it back out of the Greenhouse. The tropicals put on a great show this year and we are already starting to think about where we will be displaying them next year. In the meantime, we can look forward to some cooler weather and new cool season plantings around the grounds.